Feel free to browse our informative videos, comment below with any questions or concerns (or to recommend a topic we should cover in the videos). Also, if you’re in need of tradelines, fill out the form on this page and we will be in touch. How much do scores increase? If i owe the bank for overdrafts, would it deviate my gain from an AU. I listend to one of your videos and you guys stated if yu owe on collections or charge offs then it might not post to my credit report >>> (AU). Potentially, yes. However, there’s more to it. Is the overdraft reported as a collection account on your credit report? If so, yes, it will probably offset the benefit you would receive from tradelines. However, how long ago was it? Is it paid? Is it actively reporting (every month)? By the way, collections and charge offs to prevent authorized user tradelines from reporting to you credit report. Instead, collections and charge of reduce the credit score increase you would ordinarily receive from tradelins had the collection or charge off not been reporting. You should give us a call at 800-431-4741 or go to https://superiortradelines.com/start/ so we can help you determine the answer. Well, let’s figure out why and figure out what we can do about that. Have you called us or signed up? I’d recommend it. We help figure out these things for free. Hi I have a 480 credit score and I’m currently working with LexingtonLaw to remove negative things off my record and I was just added to my mom credit line which is a 15,000 credit line and she has a 830 credit score .. will this hurt me ?? Or help ? Most likely help you. Does it have any late payments? Is the balance below 30% (preferably below 10%)? I have FICO scores of Experian (664), Transunion (693), Equifax (680) with one open collection. Would AU tradelines benefit me? I would like to buy an owner-occupied/investment property within the next 6 months. How do I view what tradelines you have? 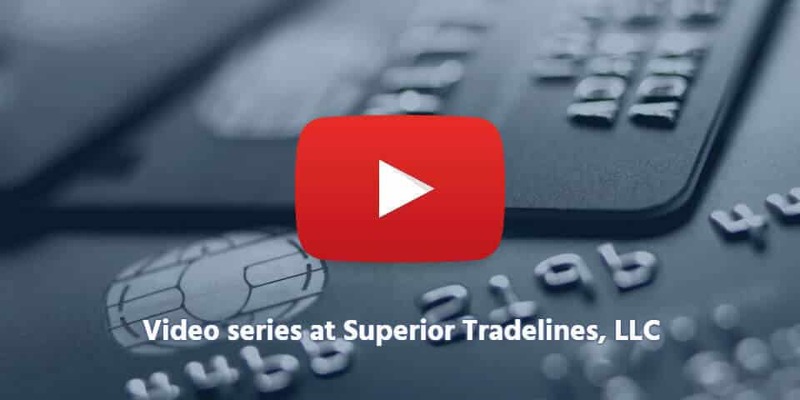 Once you create an account https://superiortradelines.com/ You will be connected with an expert who has access to the inventory which the two of you together can search and select the appropriate trade lines for your situation. We don’t post a line to list because it changes so often that it becomes pointless because you might pick something that was sold to go. When you’re working with a live human being in real time, the list is much more sensible to sort through. I owe for some traffic tickets, like 4,000 and I’m just getting home from a fourteen-year prison sentence and would like to get my life back on track as a productive citizen will this help me in that field!!?? Hey Adam, congrats on getting on track! So, traffic tickets are crazy. They’re unlike regular debt held by a creditor. Anything government is forever. You cannot “settle” them, you cannot “dispute” them, etc. So, unfortunately, you’ll either have to pay them or prove that you weren’t responsible for them (i.e., someone got a parking ticket with your car while you were in jail, etc.). I would try to contact the government first and see if there’s anything they can do, such as waive fees, since you were literally unable to pay them on time. Always start with the easiest step. Then, move on to the tougher things, such as paying them. As far as tradelines are concerned, tradelines will not fix the traffic tickets, but it could boost your credit score. So, yes, it could help. But, it also depends on what you’re trying to accomplish in terms of credit. So, what are you trying to accomplish in terms of credit? Let me know and I’ll answer you further. Thanks! I recently filed chapter 7 bankruptcy. I filed in May and was discharged in June of 18”. I have a secured visa through my credit union. My current score is 564. Can a trade line help increase my score? In situations like yours, the answer I give is not the full picture. So, keep both of the following sentences in mind. First, you stand to gain significant points when you add tradelines after a bankruptcy. Second, this might not matter; typically, future lenders may not care about your credit scores (good or bad) and may deny a loan purely on the basis that you have a bankruptcy within the last [fill in the blank amount of time]. So, yes, your scores will go up <--- direct answer to your question. However, I wouldn't recommend tradelines because most lenders will deny your loan, anyway.So, in order for us to sell tradelines to you, we'd need to check two things:1) What is in your credit report (any negatives left over, etc)? 2) Do you have a lender who promised to lend you money, regardless of bankruptcy, so long as your credit scores are sufficient?Hope that helps! !